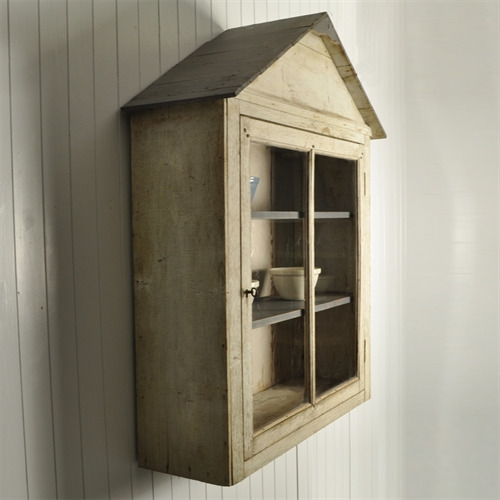 This fun wall mounted bookcase was sourced from a house on the coast of Brittany, France. It has quite a beachside feel to it. 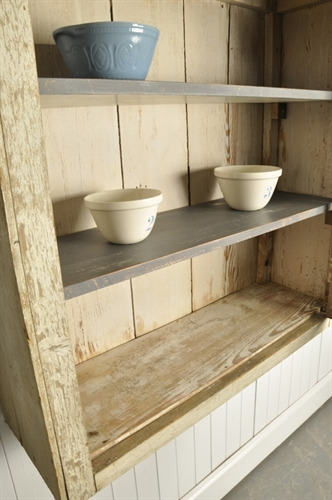 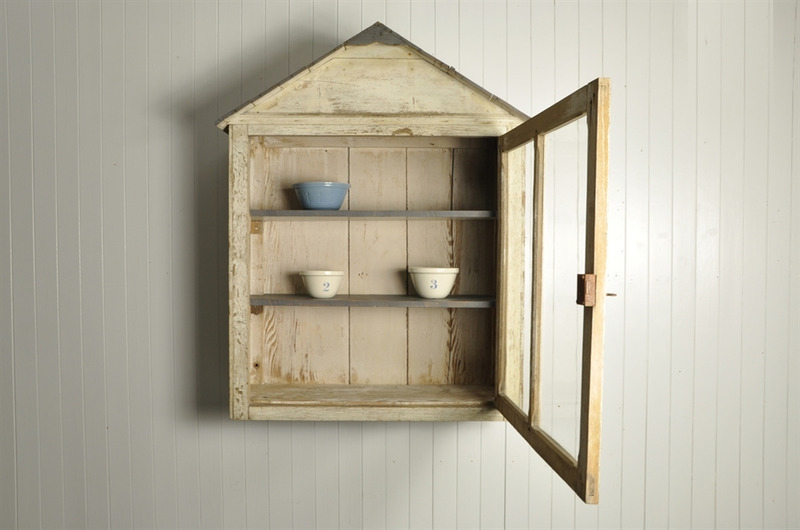 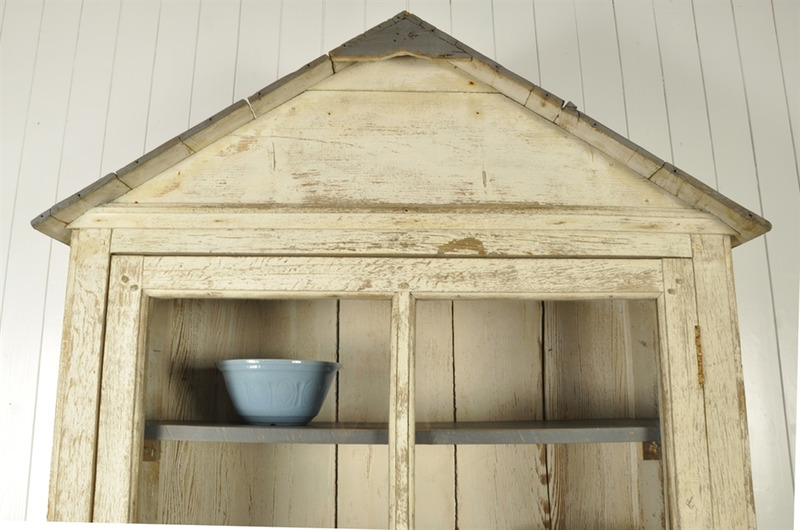 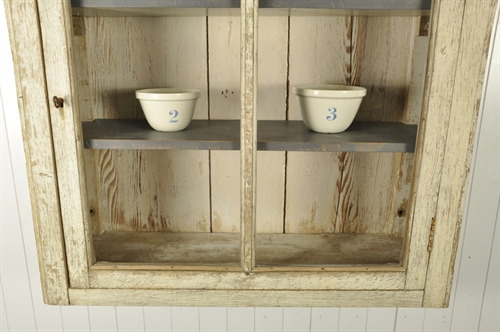 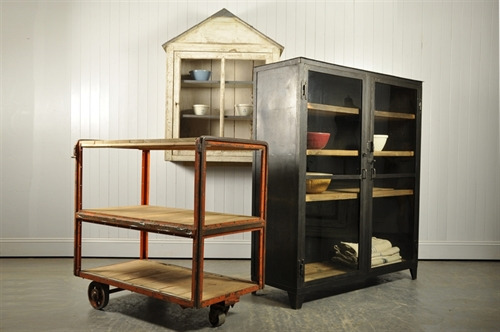 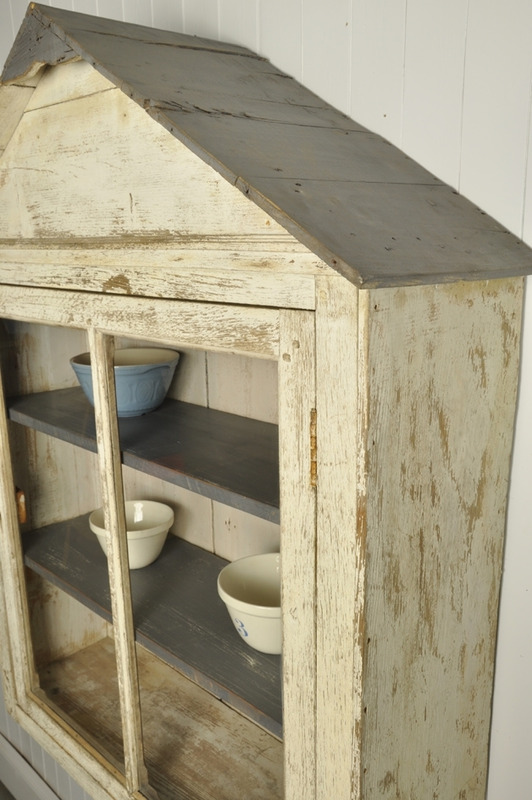 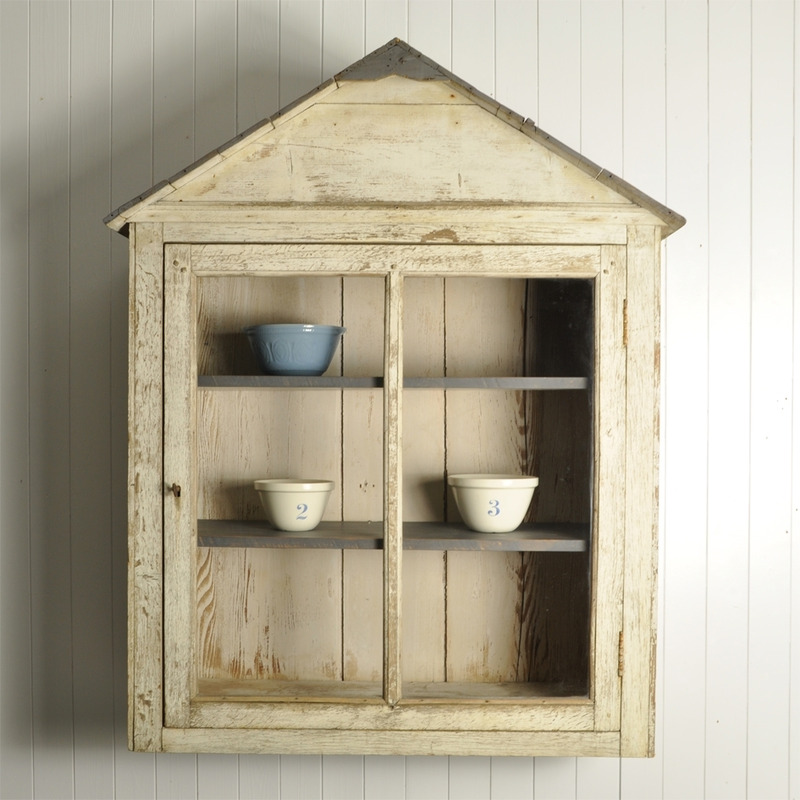 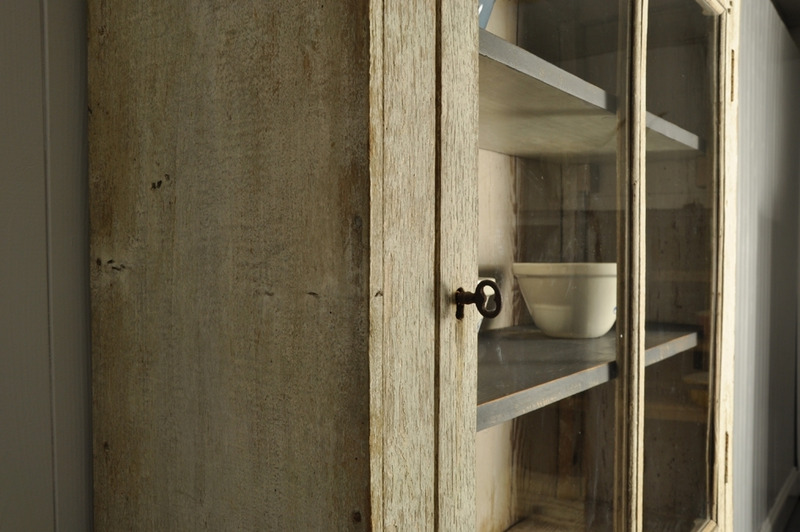 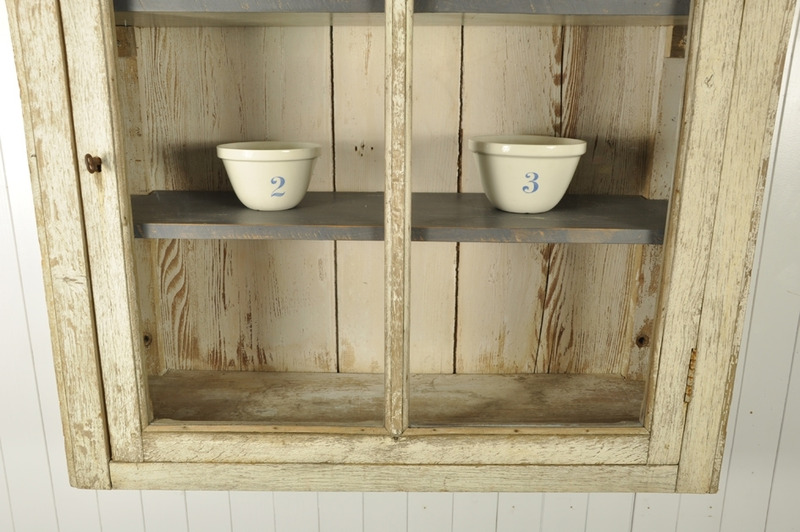 Early 20 th century, made from oak with wonderful natural distressing to the original paint. The roof and shelves have been re painted - otherwise everything else including the locking key is original.